On the sixth day of Christmas my true love sent to me.. Festive Christmas nails. This post taught me one thing: I do not have enough glitter polish. Clean and prep your nails with a base coat. Mumble obscenities at any nails that have broken recntly. 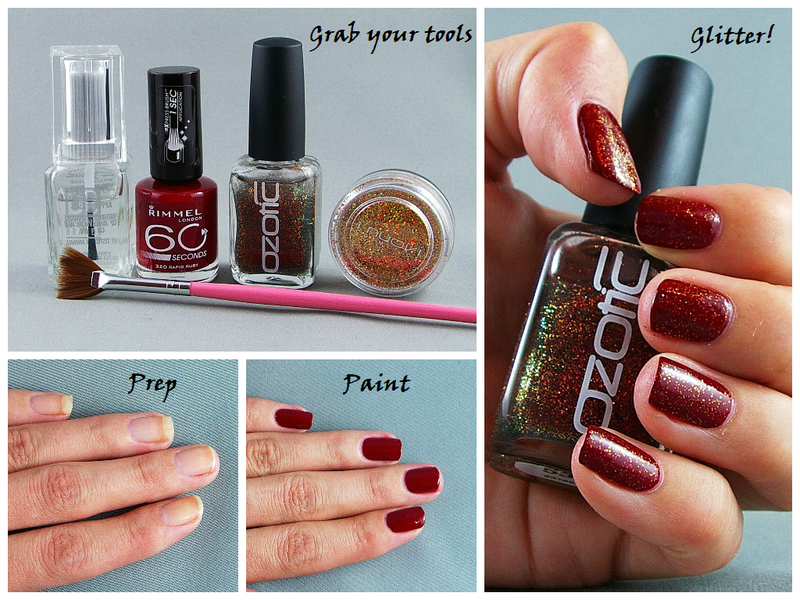 Apply your base colour, clean up the edges with a firm short bristle brush dipped in acetone if you make a mess. Apply your glitter polish, I went for the only one I had, which luckily matched the red and gold look I was going for. Allow everything to dry. Apply topcoat to your tip. Dip your nail in to your glitter. Prepare for mess. 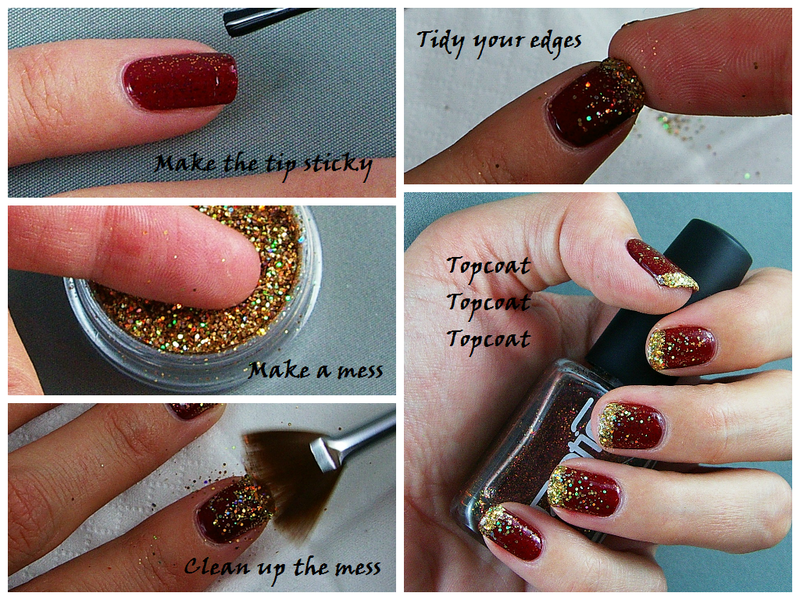 Use your fan brush to dust off the excess, push a small amount of glitter down your nail to blend the glitter tip. Press the glitter in to place to ensure it's adhered and also press the edges of your tips to ensure no glitter is out of place, if you miss this step this you'll have a rough edge and it'll annoy the crap out of you when it catches on things. Apply top coat, I opted for 2 thick layers. The idea is to give the nail a smooth finish so you can't feel the texture of the glitter. Once everything is completely dry, wash your hands to remove excess glitter. Enjoy your festive nails! (Expect to find glitter on your person for weeks). 2 comments on "Blogmas: Festive Nails." Very pretty, Hailey! I love it.